Yesterday as I was working frantically to catch up with seeing patients. I looked on my schedule and recognize a couple of names of some little girls that I have seen for a couple of years. I was saddened to learn that they were back into the custody of DFCS and their sister was now with them. Their story is heartbreaking to me, but all too familiar. Dad abandoned three older children and their mother when they were very young and mother had a stepdad that had started molesting the oldest daughter. The oldest daughter did not see anything wrong and was very upset that she was taken away from the situation (she was 12) while the middle sister saw there was a problem, even the mother would not admit there was a problem. The poor middle child is being alienated and hated by her mother and sister. What a horrible way to grow up!!! We hear these stories and we kinda know they are happening but because they are not REALLY in our world we can say, there’s nothing I can do about that!!! I’ve been guilty of the same thoughts! We say oh that’s awful and we go on with our lives. Their lives are very hard to change and the problems catapult to the next generation to continue the dysfunctionality as they go on to make their lives. My heart hurts when I walk out of these rooms. Maybe I just see more stuff, I don’t know. I have a dream to see these scenarios decreased in our community!!! I want to see children able to grow up feeling loved and appreciated. That they will see they have talents and gifts that need to be shared with the world. That each child is cherished and knows that Jesus loves them too. I may be taking a risk in saying this, because you may be saying right now, here she goes again!! For some reason I know that God has placed this passion in my heart! Any way, here’s my dream to see us make a difference here!! We have approximately 50% of our families in our communities in NW Georgia that are not churched. We have 75% of our children growing up without both of their parents in the home. We have a community that is struggling with unemployment. It’s like I know the secret to the problem!!! It’s our families. What can we do!!!? situation. 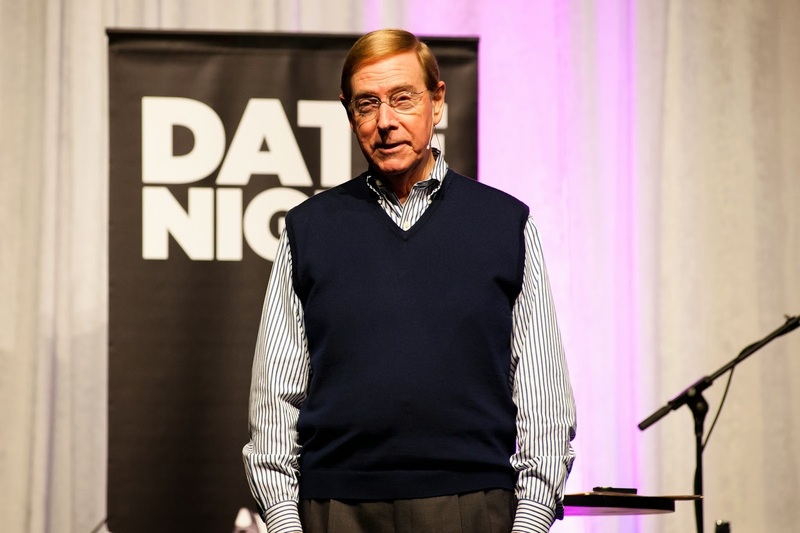 In 2012 Gary Chapman came to our Trade Center and we saw over 1600 people come to this event. So many marriages were touched and changed. We could help them then get into the churches that are wanting to work with families and couples to help them thrive. It was very expensive to bring Gary here. But he was known to so many people I knew it would have to be him to bring the people out. Now how do we follow this and bring another GREAT speaker that will get the attention of our families? Who is it? I think I know who it is, but I also know my little organization cannot bring him by ourselves. The expenses are around $20,000 each time you do this. Our community has a challenge in that they don’t come out to events that are local till the last minute so it’s hard to get a good strong audience. So you ask me Who is it and How do you do this? Well, I keep having the same thought come to mind. We have to work together as a community. Who is it that wants to work with couples and help them? Who has the ability to encourage a strong crowd? Who might be able to help monetarily to be able to make this happen? Who would people that don’t go to church come out to see? Who would bring a crowd greater than 1000 ? Who would hit our target audience of 18-40? Ok, here’s my idea and I just read in the Book “The Circle Maker” – Dream Big, have BHAG’s and “Take Captive Every Thought”. Ok, here it goes. Is there a possibility we can get ten churches to come on board again to do this thing? Are there ten churches that have a heart for marriage and family ministry? Are there churches that are willing to let their guard down and join with other churches to make a bigger difference and work as a team? Are there ten churches that would encourage their church to attend and volunteer? Are there ten churches willing to do follow up? Are there ten churches to step out and risk their money for our community? Are their ten churches that are willing to risk this to see God work? Then my next dream to answer, who needs to come? I believe it needs to be someone that has celebrity and people recognize their name, and not just “Church People”. We need to reach the unchurched! I believe that it needs to be someone that men can relate to and would say “Hey that would be cool to go to”. It needs to be someone that has a passion for helping people and for seeing God do GREAT things. So who do I think needs to come? Ok, don’t laugh, It’s GOT to be “Duck Dynasty”!!! They have got to come to our area. They have a passion for marriage and families. The oldest brother Alan and his wife Lisa have written a book on marriage that will be coming out in the next few months. I did not know this before I started talking about this, I just learned it when I spoke with the manager. Well, now you tell me, just do it? Well, easier said that done!! The cost is $17000 for them to come. Is there a church that could afford to do this? Maybe!! But we need a bunch of churches to make it happen to get people there. We need to have lots of people talking. It’s a little more complicated than “If you build it they will come”. Ok I shared my dream. I risked falling flat on my face and people laughing at me. I will continue to pray but I keep having this same dream come to me. It’s a BHAG it would only be a miracle for this to happen. Sometimes I get scared when I share a dream, it’s kinda like if you tell it, it won’t come true. So maybe that’s the case here. I don’t know, but it’s now out there and in a mighty God’s hands and if it’s His dream and it will glorify him, I believe it will happen and there will be churches and Godly men and women that will step up to make this happen. Let’s see what God will do! !